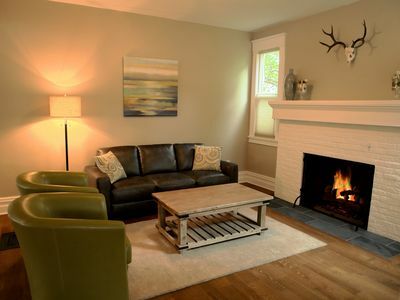 This is a cleanly maintained old house, the location of the house is the main asset of this house. Close to center and close to nature. Access to pristine Rattlesnake creek trail is right behind the house. 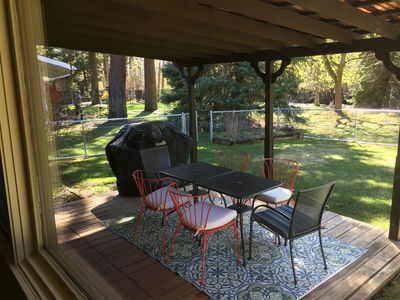 This 2000 sq.ft a 70's two level ranch style independent Rattlesnake Home located in the very desirable Rattlesnake Valley in Missoula. 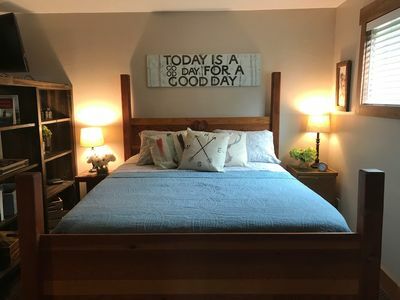 House is newly remodeled with new paint, comes with 2 bedrooms kitchen, living room and a bath upstairs and a bedroom, bonus rooms and a shower down stairs. 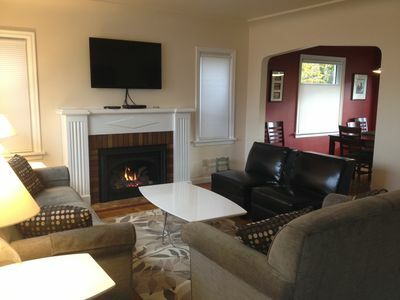 Upstairs can accommodate up to 4 people with king and queen beds. More than a party of 4 people we will open the downstairs. It has a queen bed and two single beds can accommodate up to another 4 people. The whole house can sleep up to 8 people (including children or babies) and at most 9 people with request for airbed. The up-stairs bathroom with a bathtub and the down stairs bathroom come with a shower. All towels, linens, hand soap and shampoo are provided. These is a spacious double deck is an attraction in summer. The Picturesque cotton wood trees in the back yard make one feel like living in a nature preserve. 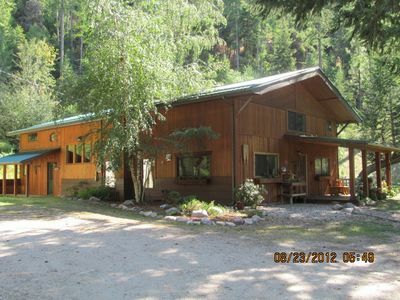 This house is sure to please year-round but especially for summer since it is not far from the creek, stays cooler. Access to the creek and Creek Park is across the house on the back, on Wiley Street. The house is an escape from the city within in a mile and half from down town and the university. East Gate shopping center offers groceries to restaurants, is within 5 minutes. Cross the foot bridge from East Gate center you will be at the University of Montana. 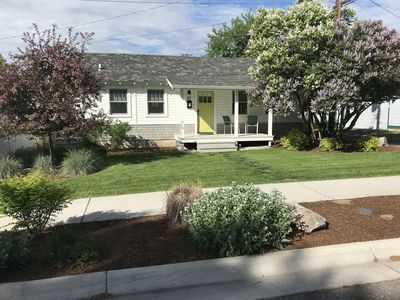 You will feel part of Missoula's one of the prestigious neighborhood close to wonderful playgrounds, magical Tom Green Park and Rattlesnake Creek as well as Down Town and the University. Discover Missoula's many restaurants, shops and breweries while immersing yourself in the artistic culture. From concerts at the Wilma to Grizzly sports at the U of M there truly is something for everyone. For the outdoor enthusiast Mount Jumbo, Waterworks Hill, and the Rattlesnake Wilderness are right at the door providing some of the best hiking and mountain biking trails in the area. Families will enjoy strolling along Rattlesnake Creek through Tom Green Park to Pineview Park which features tennis courts, a playground and an ice skating rink in the winter and just in a walking distance to the house. Missoula offers Indoor Water Park throughout the year and Summer Water Park in the summer with a nominal fee. Grizzly Sports fans can take a bus at the street corner, to East-gate Center, and cross the foot bridge to get to the Grizzly stadium to avoid parking hassle during the season. Missoula offers free city bus service. Places in the neighborhood are: for Breakfast and lunch the Rattlesnake Gardens a block up from Lolo Street on the Rattlesnake Dr. and further up the Ten Spoon Vineyard and Winery. 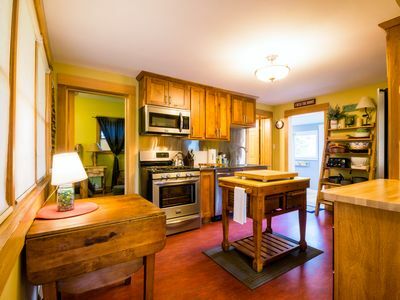 Expectations: A private home with kitchen for value!!! 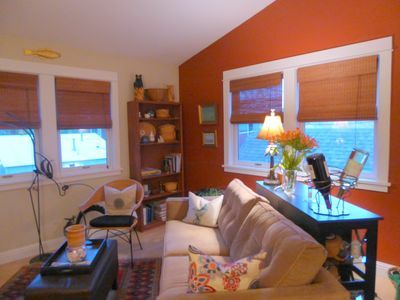 The house comes with free dedicated broadband Internet and free parking. There is a driveway to park 2 to 3 cars. TV with streaming and free Hulu-Plus. Finally, there is a laundry room with new washer and dryer (and laundry soap), plus an ironing board and iron. What is provided: Clean linens, Bath and hand towels, kitchen towels. Toilet paper, hand soap, shampoo. 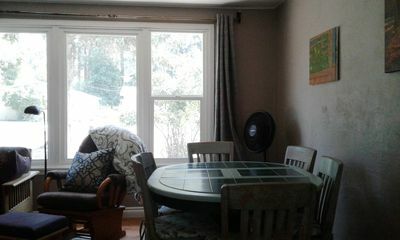 House comes with forced-air heat but no air-conditioning. There are fans in the rooms. This house has some uneven floors and a steep staircase typical to old houses. 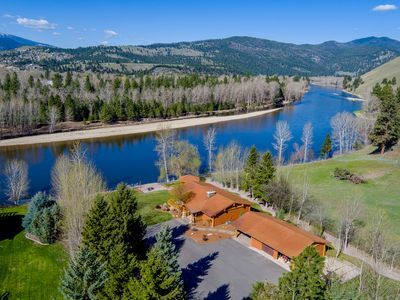 If you are coming from out of state expecting Montana’s elaborate vacation ranches, this is not of your choice. 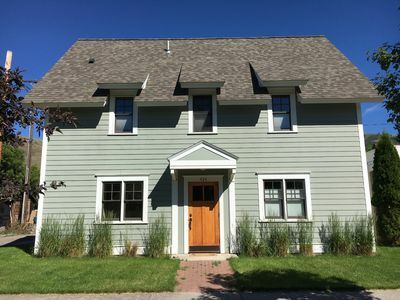 This house is a typical city center home happened to be away from noise pollution unlike typical rental homes in the narrow Missoula city valley.This could be a vacation home if rule of thumb living space (500 sq.ft/person) is observed. Reality Check: Most guests don't have time to do market research to adjust their priorities and expectations. 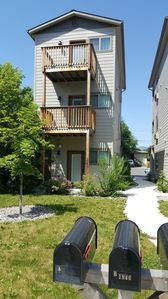 Independent homes cost more than owner occupied shared homes due to mere non-subsidized mortgages and separate maintenance costs and off-course Missoula's short season. 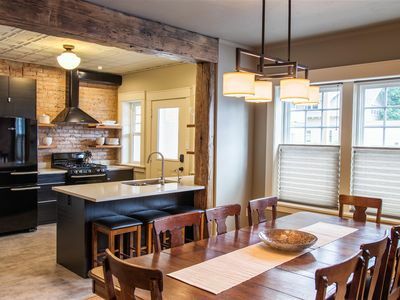 Stay Downtown in Missoula's Best Home! Ideal Spot for Groups! 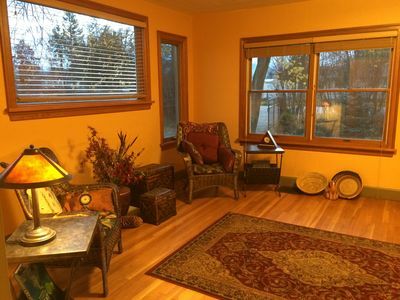 Cute Downtown Apartment, Walk to University, Shops & More! 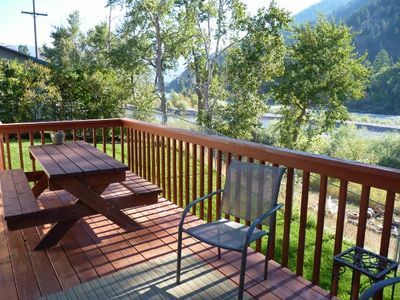 Get a quiet night's sleep with quick access to the sites of beautiful Missoula.